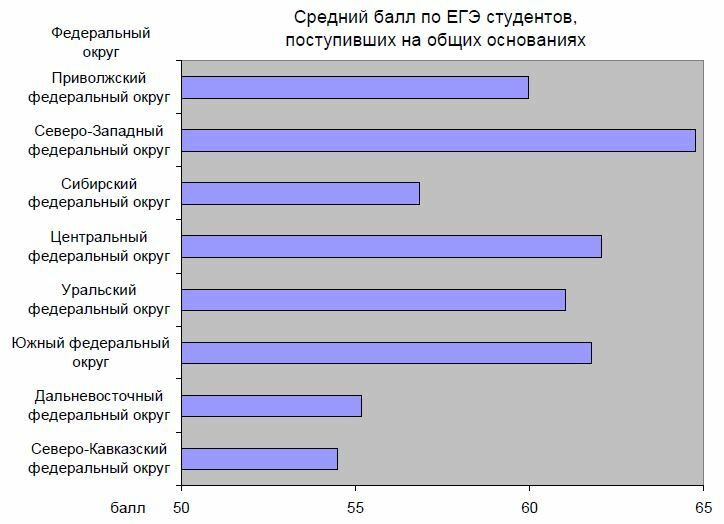 19 Comments to "Analysis of Russia's PISA 2009 Results"
La Griffe du Lion has shown that verbal IQ is the relevant metric for predicting GDP. Makes sense. For the same productivity, better verbal skill mean better salesmanship and high value generation in the trade. Actually this will support Anatoly's claim that China GDP was under-estimated. Perhaps but I think that using a combination of measures is best. For instance, as we're speaking of Russia here, its PIRLS 4th grade Reading score was 565 which beats all the other countries in that exercise and translates to a verbal IQ of 110. This is not plausible. Actually this will support Anatoly’s claim that China GDP was under-estimated. For instance, as we’re speaking of Russia here, its PIRLS 4th grade Reading score was 565 which beats all the other countries in that exercise and translates to a verbal IQ of 110. This is not plausible. Russians are readers, so I find this plausible. My oldest could recite lines and lines of Pushkin by the 4th grade. Sakha Republic is not buddist region. Sakha people are mostly Russian Orthodox, some atheist and traditional beliefs. They make 45% of population. 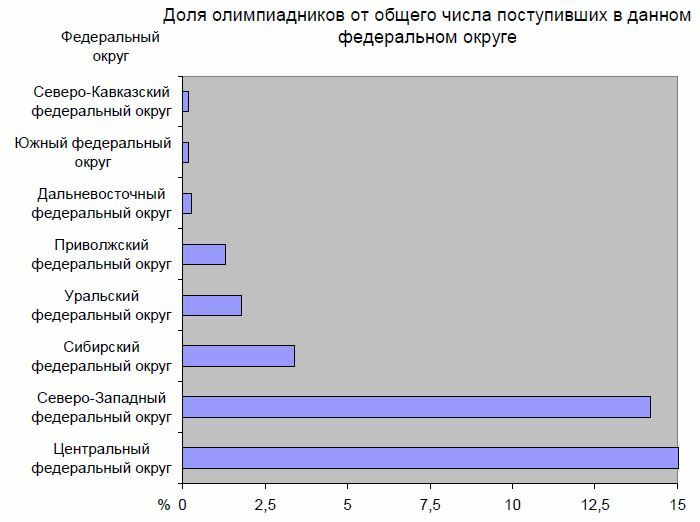 In Buryiatia, ethnic buryats make ~1/3 of population, in Karelia, the karels are 1/10 or even lower. So, genetically (but not culturally), Poles, Ukrainians and Russians south of Moscow are one people; Russians north of Moscow are genetically a different people, Slavic-Finnic meztisos. This is in terms of paternal ancestry. However, Ukraine consistently does worse than Russia on international standardized tests (TIMMS, PIRLS). It also reads much less which also indicates a lower IQ. Lynn assesses the gap at 1.6 points and Rinderman at 4.3 points. Why this is so is a puzzle. After all they have the same style of education systems, the same (broadly similar) level of socio-economic development, etc. Russia benefits from Moscow, and perhaps the North Russians - a genetically distinct group, as both you point out and I in my post - are somewhat cleverer than ordinary Russians. On the other hand Russia has quite a lot of low-scoring minorities while Ukraine is homogeneously Slavic. Could it be diet? Maybe. Ukraine did after all have a bigger collapse. I recall reading somewhere that the average height of the Russian man is 177cm to the Ukrainian 175cm. Maybe that explains the difference? Why are scores low in some of the Buddhist regions? 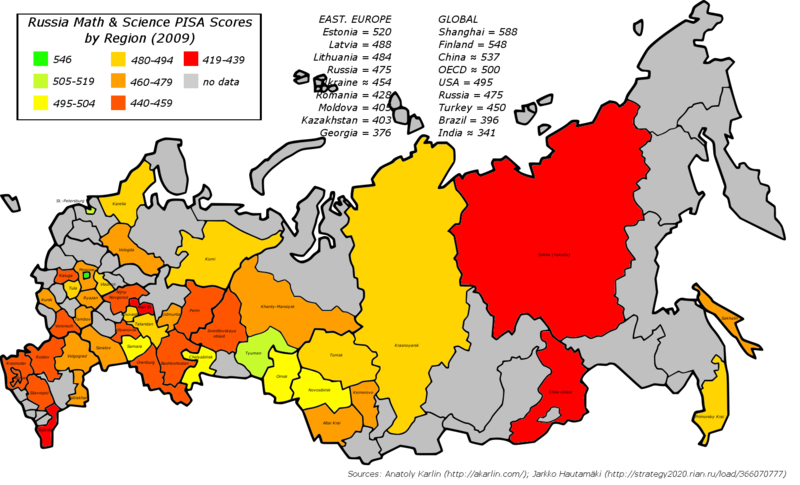 Russia benefits from Moscow, and perhaps the North Russians – a genetically distinct group, as both you point out and I in my post – are somewhat cleverer than ordinary Russians. On the other hand Russia has quite a lot of low-scoring minorities while Ukraine is homogeneously Slavic. Maybe there is light during the day because the sun is up. I know you don't want to believe that IQ is environmental but sadly that is the truth. Ukraine did experience a brain drain to St. Petersburg during the imperial years (Gogol being the most famous example). But environemnt accounts for much of it I'd guess. Maybe there is light during the day because the sun is up. I know you don’t want to believe that IQ is environmental but sadly that is the truth. Don't ascribe me views I don't hold. I have never said that environment doesn't have a major influence on IQ. Don’t ascribe me views I don’t hold. I have never said that environment doesn’t have a major influence on IQ. Ukraine did experience a brain drain to St. Petersburg during the imperial years (Gogol being the most famous example). But environemnt accounts for much of it I’d guess. I believe that the difference in IQ between groups is due to both genetics and environmental factors. Alternatively, one could say that I believe the difference in potential maximum IQ between groups is due to genetics. Now here I disagree. African-Americans share broadly the same environment as do whites. They do not have a problem with access to nutrition, and state spending per black student is actually slightly bigger. The difference however has stabilized and Blacks are consistently 1 SD below whites. Furthermore, the difference is greatest precisely on the most culture-neutral and g-loaded tests. Anyhow, I might as well make this a new post. We can continue the discussion there. They only share the same physical environment, not the cultural. 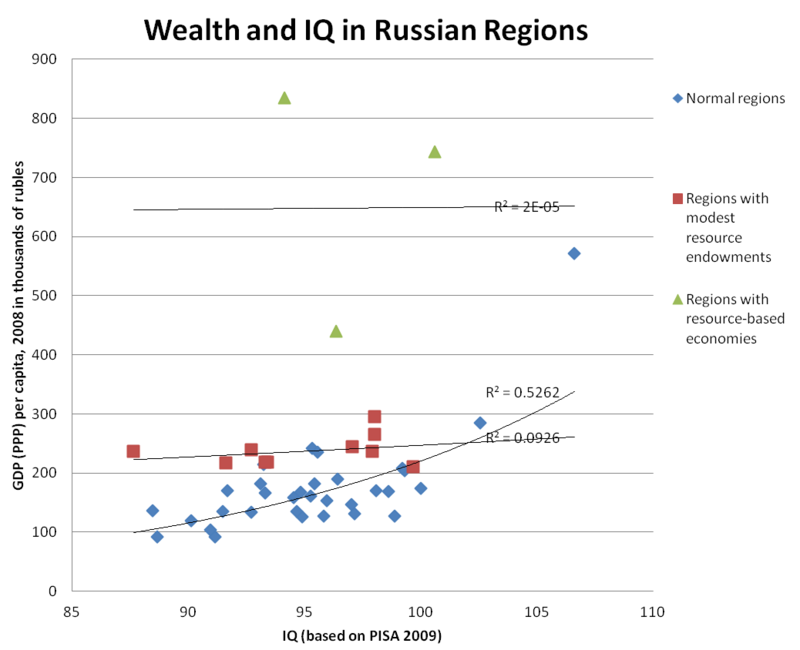 I understand some arctic people in Russian Siberia may have low iq, they’re not East Asian ethnically. What about the East Asians in Russia, that is, the Mongol-speaking Kalmyks and Buryats. I see Kalmykia and the Buryat republic are blank on the first map. I’m interested in Kalmykia which located in the European part of Russia. It’s supposed to be an international center of chess, right? I agree that Kalmyk and Buryat data would be interesting, but I don't find Mongolic ethny in Russia to form an obvious unit with (Sinosphere) East Asians in clear exclusion of Arctic Siberians. Genetic data suggest otherwise (see, e.g., the "Siberian" component in the Dodecad project's K10a admixture spreadsheet). That case would be better if we were talking about Shirongolic speakers, but even down into Qinghai-Gansu elevated "Siberian" (relative to a Han, even CHB Bejing Han, baseline) is evident. Additionally, all Mongolic peoples sampled to date seem to have non-Mongoloid ancestry (of West Eurasian and, to a lesser degree, South Asian sorts) in the region of 5-10%. I understand some arctic people in Russian Siberia may have low iq, they're not East Asian ethnically. What about the East Asians in Russia, that is, the Mongol-speaking Kalmyks and Buryats. I see Kalmykia and the Buryat republic are blank on the first map. I'm interested in Kalmykia which located in the European part of Russia. It's supposed to be an international center of chess, right? I agree that Kalmyk and Buryat data would be interesting, but I don’t find Mongolic ethny in Russia to form an obvious unit with (Sinosphere) East Asians in clear exclusion of Arctic Siberians. Genetic data suggest otherwise (see, e.g., the “Siberian” component in the Dodecad project’s K10a admixture spreadsheet). That case would be better if we were talking about Shirongolic speakers, but even down into Qinghai-Gansu elevated “Siberian” (relative to a Han, even CHB Bejing Han, baseline) is evident. Additionally, all Mongolic peoples sampled to date seem to have non-Mongoloid ancestry (of West Eurasian and, to a lesser degree, South Asian sorts) in the region of 5-10%.